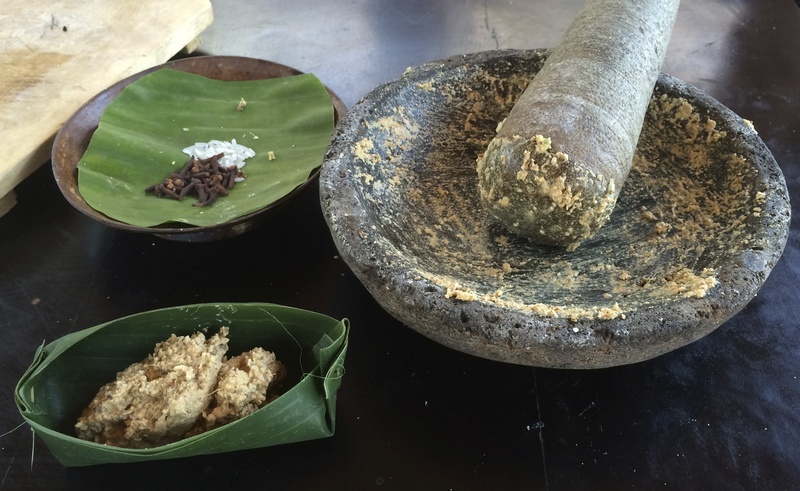 Boreh is traditionally used by the Balinese as a healing paste to treat minor ailments. Scrubs are usually made from a mixture of natural ingredients such as galangal, turmeric, ginger, leaves, rice, cloves, nutmeg, pepper and chilli. Not all of the ingredients mentioned here will be used at the same time; ingredients are specifically matched to each particular type of ailment. 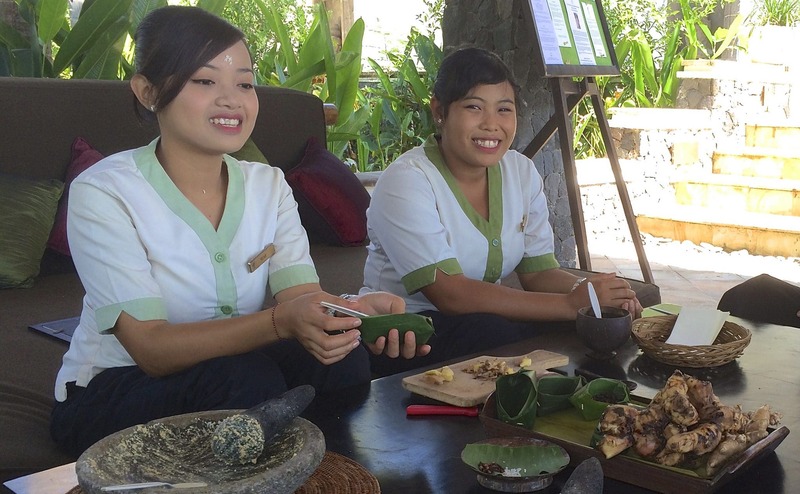 At Spa Village, Tembok, the Boreh is used for the Penganten Melukat, the resort’s signature body treatment. 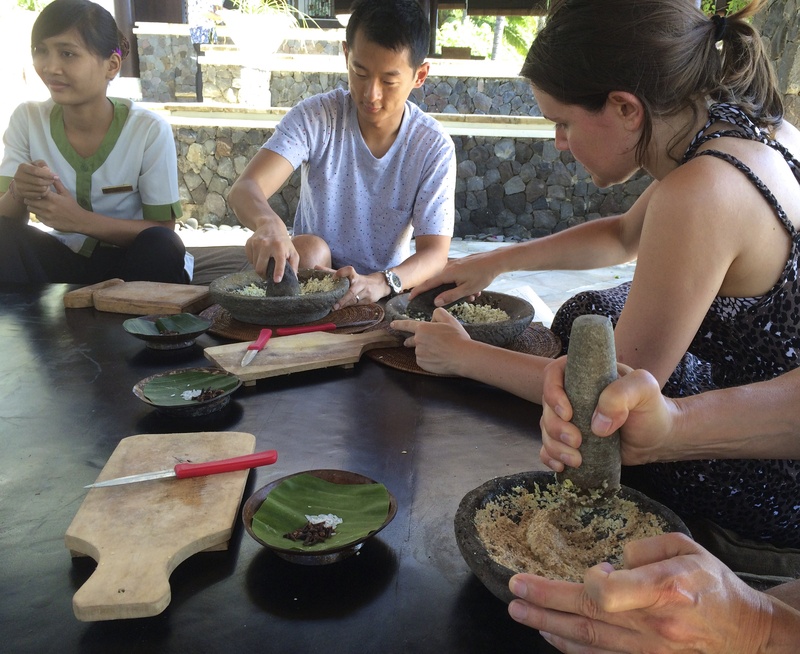 In the run up to a traditional Balinese wedding, the bride and groom stay in their families’ home where the respective parents help prepare them for their special day by giving the Traditional Melukat (Body Cleansing) which incorporates this scrub. This Boreh is brilliant for general cleansing and is a good cure for any minor aches and pains. It really couldn’t be easier to make. Pound the cloves until it becomes powder and then pour into a small container. Grind the rice until it gets soft. Cut the ginger and galangal into small pieces and pound it. 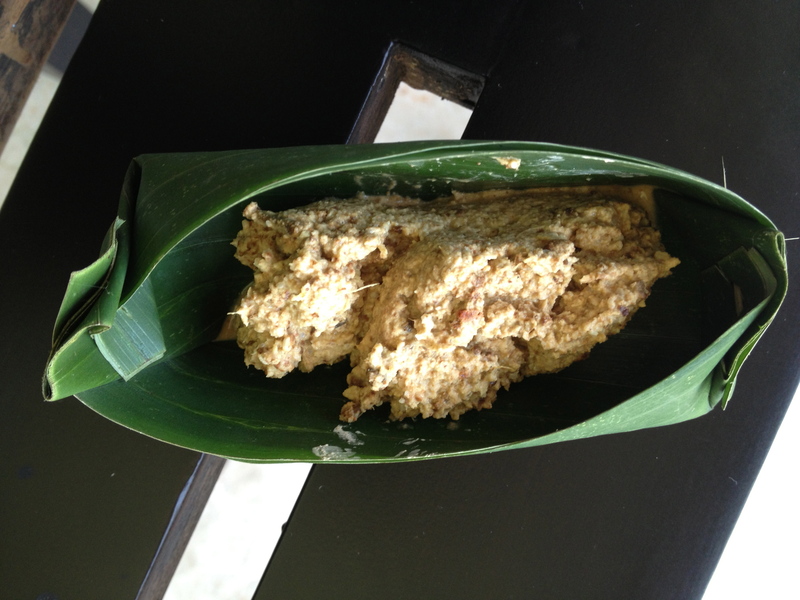 Now mix the ginger and galangal together with the rice and grind it. Finally add in the clove powered and mix together, Pour the Boreh into a bowl (or in this case a banana leaf) and hey presto, it’s ready to apply.